Interite Healthcare Interiors understand Aged Care Facilities are an extremely complex medical macro environment. Interite Healthcare Interiors are extremely passionate in providing quality aged care environments with meaningful outcomes. Whether it be low to high care facilities, specific care facilities, community care, or retirement villages, each venue’s aged care building design and construction is critical. The move to engage this distinct user group on a personal level has resulted from an evolved appreciation of the architectural environment. Specialists and service providers alike, understand that the environment plays a key role in facilitating resident well-being and quality care, encouraging a transition away from traditionally stark, clinical interiors, focused solely on operational objectives into liveable, aesthetically pleasing and holistically engaging spaces. Interite Healthcare Interiors is passionate about providing human centered aged care environments. As a specialist designer, builder and furniture supplier, Interite Healthcare Interiors is cognisant that a human centered focus needs to be conveyed in all activities; from reception foyers to households; from caregiver to resident. The team will share your vision and develop it to ensure its realisation by delivering a quality result on time, and within predetermined parameters, to ensure you achieve your goals. 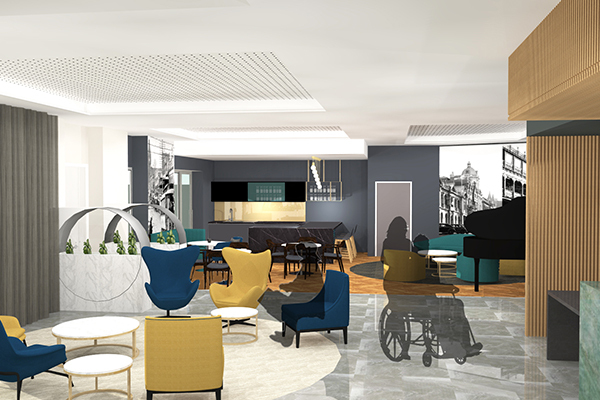 Leading healthcare institutions across the globe are increasingly promoting progressive Aged Care environments which focus on the complete comfort and satisfaction of the resident, the visitors and the caregivers. 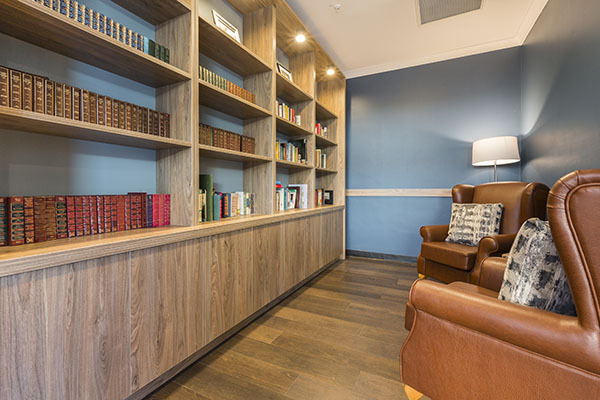 Interite Healthcare Interiors’ specialised knowledge base promotes a pragmatic approach to the built environment, coupled with a seamless and mindful delivery. This considered approach delivers complete satisfaction, with clients confident in the organisational understanding of aged care design, philosophies and their unique requirements. Along with Interite Healthcare Interiors’ capacity to engage with the individual needs of their residents. Far beyond walls, floors and furniture, this approach is focused on crafting environments which cater to all users, offering support and dignity to residents, caregivers and families. Contact Interite Healthcare Interiors for a consultation today and find out about the Interite Healthcare Interiors difference.